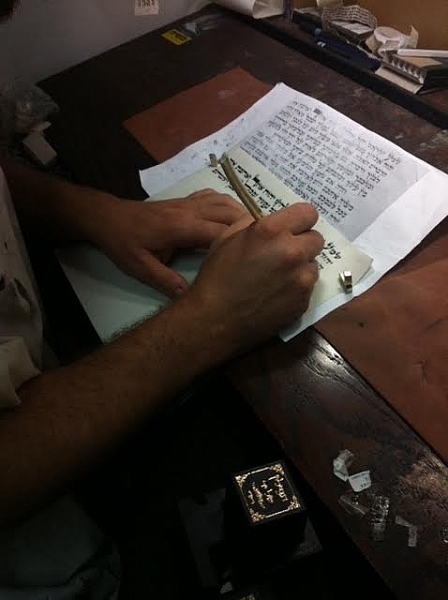 A 7 cm small Mezuza scroll, made from handmade parchment inscribed with black ink and written with a special pen. 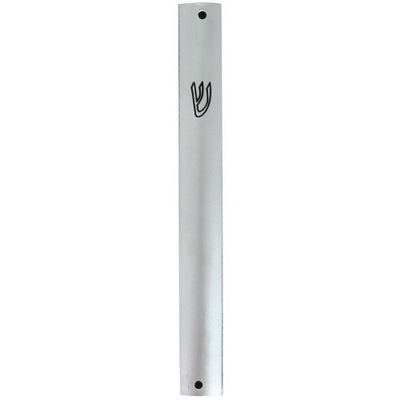 The Mezuzah is mounted onto a wall and reminds us of our belief in God. 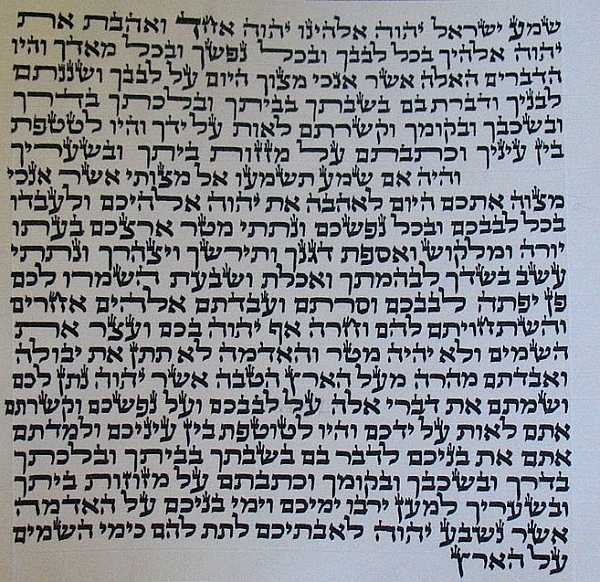 The Mezuza has been written in Nusach Sefardi, the custom originating from Middle Eastern customs. 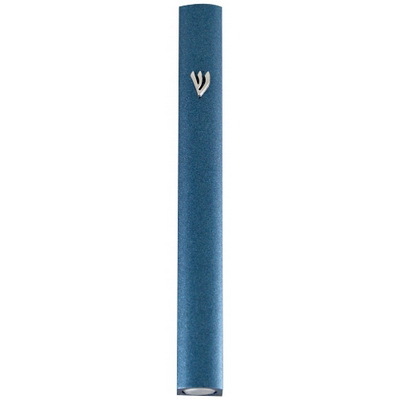 According to Sefardim, the mezuzah is meant to be hung straight on the doorpost. 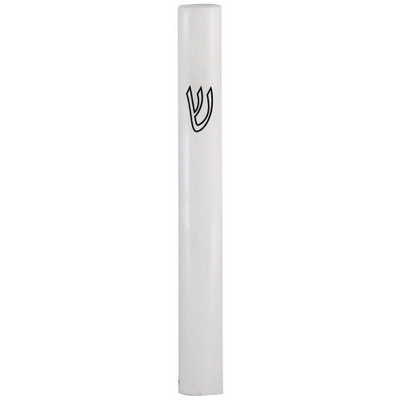 G-d’s name Shaddai, scribed on the back of the mezuzah, faces outwards. It is attached on the right side of the door post, at about shoulder length height. Nails or glue is used to connect the mezuza to the door.Once you have the mezuza held in the proper placement, a blessing is recited and then it is carefully fixed to the doorpost, to be kissed as it is passed each time someone walks through the door.